Introducing our newest addition to the Gin Shu Collection. 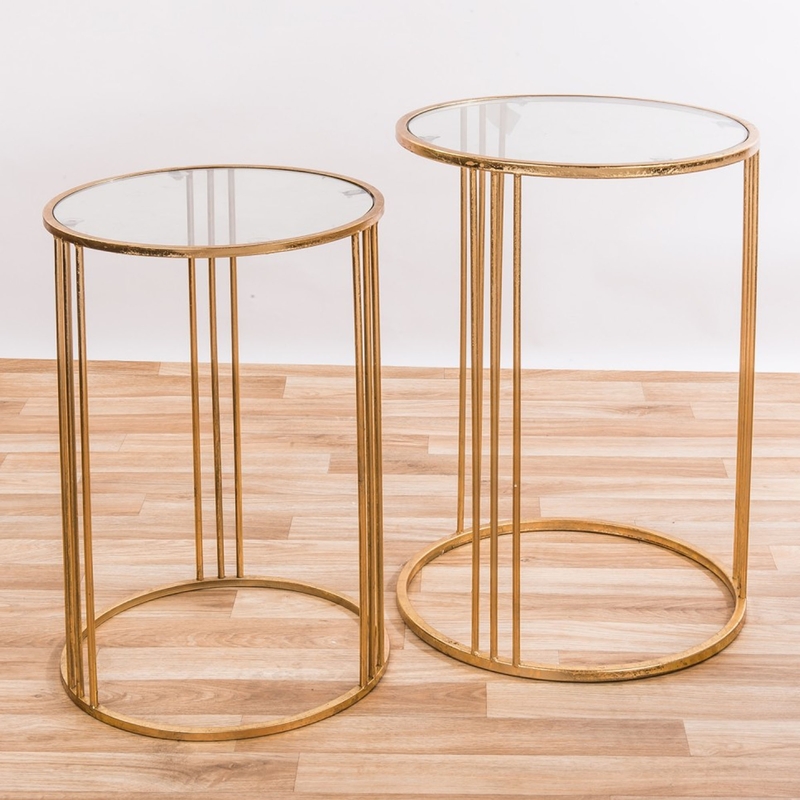 This beautiful pair of Gin Shu Gold Glit Tubular Metal Tables is a perfect addition to any home. With a metal frame in a shiny golden colour this table is topped off with a circle glass top.